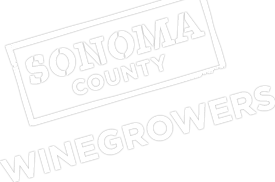 Growers and landowners in Sonoma and Mendocino counties are invited to attend a meeting on agricultural water use in the Russian River watershed. The meeting is scheduled for Monday, November 24, from 9:00am-12:00pm at the Cloverdale Citrus Fairgrounds located at 1 Citrus Fair Drive, Cloverdale. The workshop includes information on: mitigating risk with crop insurance; the new state frost water regulation and what it means for 2015 with a review of regulation requirements; Russian River curtailments and the ability to divert water for crops; and ground water legislation. In addition there will be discussion on Water Demand Management Program and the Independent Science Review Panel. Guest speakers include : Paula Whealen of Wagner and Bonsignore, Chris Scheuring and Jack Rice of CA Farm Bureau; Sean White of the Russian River Flood Control District; Laurel Marcus of CLSI; the Sonoma County Water Agency; and growers Al Cadd and Doug McIlroy. James Otto of the USDA Risk Management Agency will stress the value of crop insurance to mitigate risk during the upcoming frost season in a low water year. RSVP to attend by November 20, to: Devon Jones at [email protected] or 707-462-6664 or Karen Thomas at [email protected] or 707-522-5862. Provide your name and vineyard or company. This meeting is presented in conjunction with a USDA Risk Management Agreement. ← Vineyard Materials Recycling Day!